If you love photography than of course, you will choose best camera lens on your Best Dual Camera Phone under 20000 that produces excellent images like a DSLRs, because in every moment and places you can not take your DSLRs camera because of size, installation and many more regions. Here you are a photography lover and Best Dual Camera Phone under 20000 is trending now, so I am providing you the best dual camera smartphone list in your budget but should be noted one thing, you can not regret after choosing a dual camera mobile from this list. These dual camera phones have very premium looks, build quality, cellular call quality, processor, screen size with high resolution and protection too. That performs very well in all aspects. Today every smartphone makers try providing us a dual camera phone but here in this post, you will find the best dual camera phone under 20000 Rs. This is the first phone from Xiaomi with android one software instead of miui , support 5.5 inches 1080p FHD resolutions screen and 2GHz octa-core Snapdragon 625 chipset coupled with 4GB ram and 64 GB internal storage. Comes to point this best dual camera phone under 20000 rupees equipped 12MP + 12MP dual back camera with dual tone LED flash which is good enough to compete for another flagship phone in terms of photography. The front camera is 5 MP for selfie lovers that clicks decent pics. Moto X4 dual camera phone support 5.2 inches 1080p FHD resolutions screen and 2.2GHz octa-core Snapdragon 630 chipset coupled with 3GB ram and 32 GB internal storage. The best dual camera phone under 20000 rupees equipped 12MP + 8MP dual back camera with dual tone LED flash with some good effects option which produces decent and detailed pictures. The front camera is 16 MP and Front Flash for ultimate selfies. The best camera smartphone support 5.9 inches bezel-less 1080 X 2160 FHD+ screen and powered by 2.36 GHz Kirin 659 octa-core processor along with 4 GB ram and 64 GB of internal memory that will expandable via micro SD card. This best dual camera phone under 20000 Rs. has a unibody design and 13 + 2 MP back camera with flash and 16 + 2 MP selfie camera for clear and wide angle selfie. You can also buy this as the best selfie phone under 20000 Rs. and also can mention as best 4 camera phone in this best smartphone with the dual camera. The best camera phone 20000 Rs. Inbuilt with 3340 mAH battery that lasts long for a day and has connectivity option like Bluetooth, WiFi, fingerprint, 4G LTE, Dual SIM, FM Radio etc. 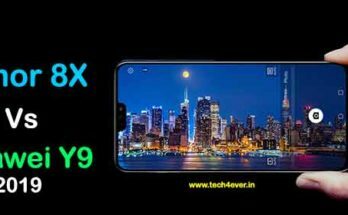 This best dual camera phone under 20000 rupees is the latest phone which is a successor of Honor 6x, Smartphone support 5.93 inches and 1080 X 2160 FHD+ resolution. The best camera phone powered by 1.7 GHz Kirin 659 octa-core processor along with 4 GB ram, and 32/64 GB of internal memory that will expandable via micro SD card. This best camera smartphone has a unibody design and 16 + 2 MP back camera with flash and 8 MP selfie camera for clear amazing selfies. The Honor 7x is the best dual camera phone that produces very clear images in both outdoor and indoor location, and Honor 7x definitely the best choice in best budget smartphone list. The phone Inbuilt with 3340 mAH battery that lasts long for a day. Smartphone has connectivity option like Bluetooth, WiFi, fingerprint, USB OTG, 4G LTE, Dual SIM, FM Radio etc. Moto G5s plus dual camera phone support 5.5 inches 1080p FHD resolutions screen and 2GHz octa-core Snapdragon 625 chipset coupled with 4GB ram and 64 GB internal storage. The best dual camera phone under 20000 rupees equipped 12MP + 13MP dual back camera with dual tone LED flash with some good effects option which produces decent and detailed pictures. The front camera is 8 MP and Front Flash for decent selfies. This best dual camera phone under 20000 rupees support 5.5 inches Full HD display and it has 2.0 GHz Kirin 655 octa-core processor Octa-Core processor coupled with 4GB RAM and 64GB of storage. The dual camera Phone inbuilt with 12 MP + 2MP dual-lens Back Camera with LED flash and the Fingerprint scanner on the back and 8 MP on the front. Now let’s talk about software so Honor 6x comes with Android 6.0 (Marshmallow) with a lot of customizable EMUI 4.1. Here all the connectivity information, this camera smartphone support Dual SIM, 4G VoLTE, WiFi etc, and Li-Poly non-removable 3340mAh battery. This new dual camera smartphone has 2.5D curved 5.5 inches 1080p FHD resolutions display and 2.2GHz octa-core Snapdragon 626 chipset coupled with 3/4GB ram and 32/64 GB internal storage. The best dual camera phone under 20000 rupees equipped 13MP + 13MP dual rare camera with dual tone LED flash which gives decent pictures. The front camera is 16 MP and Front Flash for bright selfies. The dual camera smartphone from Lenovo support 5.5 inches 1080p FHD resolutions display with Gorilla Glass protection, And 2.3GHz Helio X23 10-core processor chipset coupled with 3/4GB ram and 32/64 GB internal storage. The best dual camera phone under 20000 rupees equipped 13MP + 5MP dual rare camera with dual tone LED flash which gives decent pictures. The front camera is 13 MP and Front Flash great selfies. The Honor 8 smartphone launched in 29’999 Rs. but after few months company cut the price of mobile and now you can buy Honor 8 under 20000 Rs. This best dual camera phone under 20000 INR support 5.2 inches Full HD display, and it has 1.8 GHz Hisilicon Kirin 950 octa-core processor coupled with 4GB RAM and 32GB of storage which is expandable up to 128 GB via micro SD card. 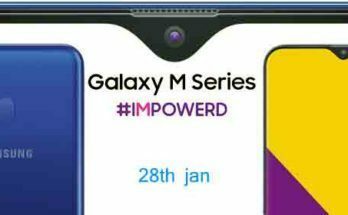 The Phone inbuilt with 12 MP + 2MP dual Back Camera with LED flash and the Fingerprint scanner on the back and 8 MP selfie camera. let’s come to software mobile comes with Android 6.0 Marshmallow Upgradable in Nougat 7.1 with EMUI 5.0. Here all the connectivity information it supports single SIM, 4G VoLTE, and Li-Poly 3000mAh battery. I am very impressed with this best dual camera phone under 20k. The dual camera smartphone from Lenovo support 5.2 inches 1080p FHD resolutions display with Gorilla Glass protection, And MTK Helio P25 Octa Core 2.5 GHz processor chipset coupled with 3/4GB ram and 32 GB internal storage. The best dual camera phone under 20000 INR equipped 13MP + 5MP dual rare camera with dual tone LED flash which clicks decent images. 8 MP and Front Flash for decent and bright selfies. Read Also: Best Bluetooth speaker under 1000 Rs. Read Also: Best Speakers under 2000 Rs.